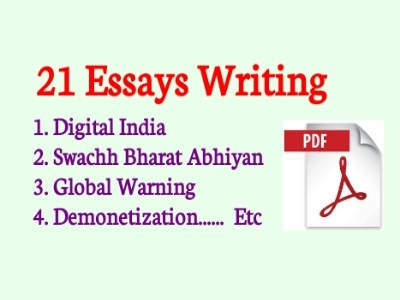 Are you looking for Important Essays for Competitive Exam? Don't worry, we solve this problem. We know most of the students search on the Internet for important Essays. Here we upload 21 important essays for Job Exam like SSC, WBCS, PSC UPSC Descriptive Questions. You must download this pdf file.